This all-too-common statement reflects a potential opportunity lost. 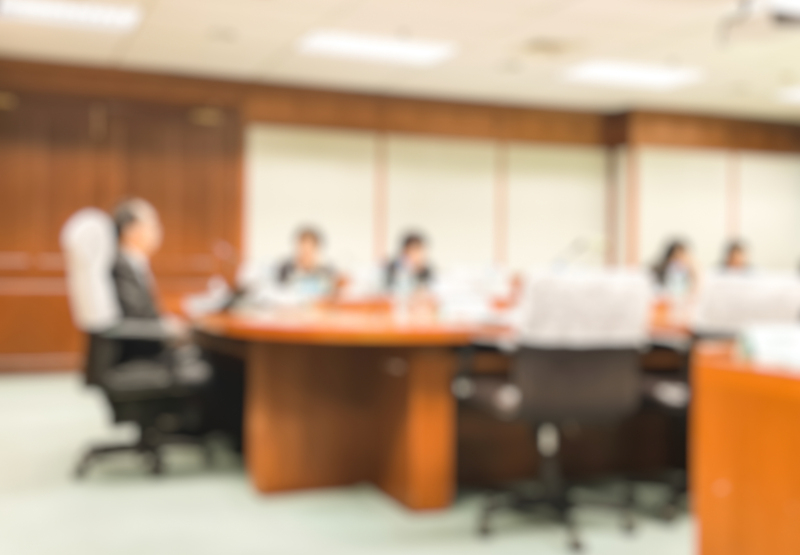 Compensation committees can go far beyond merely demonstrating a lack of material risk by using an effective risk-assessment process in the management of their incentive programs. In this article, we present a set of standards for conducting an effective risk assessment. The information gathered in such assessments should enable compliance with required compensation-risk disclosures, enhance the potential for incentive plans to produce desired business results and reward management appropriately relative to performance. An appropriate level of risk is essential for any business to survive and produce acceptable risk-adjusted returns for stakeholders. Eradicating all risk in compensation programs is not desirable or feasible. 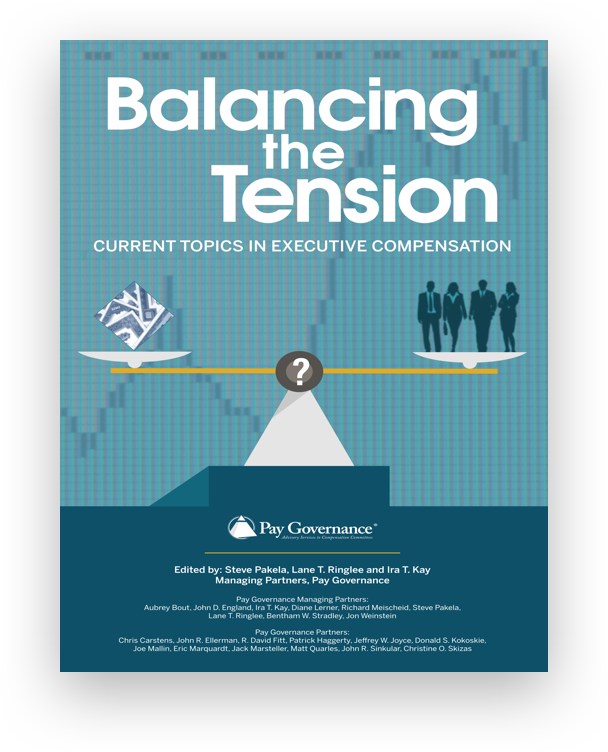 However, actively managing risks undertaken -- and understanding their relationship with executive compensation structure and design -- is. Balanced regarding financial rewards so as not to encourage employees to imprudently expose their organizations to risk. Compatible with effective controls and risk management. Supported by strong corporate governance. From our recent experiences, most companies have stepped up and eliminated the more obvious types of corporate exposure to imprudent risk-taking. 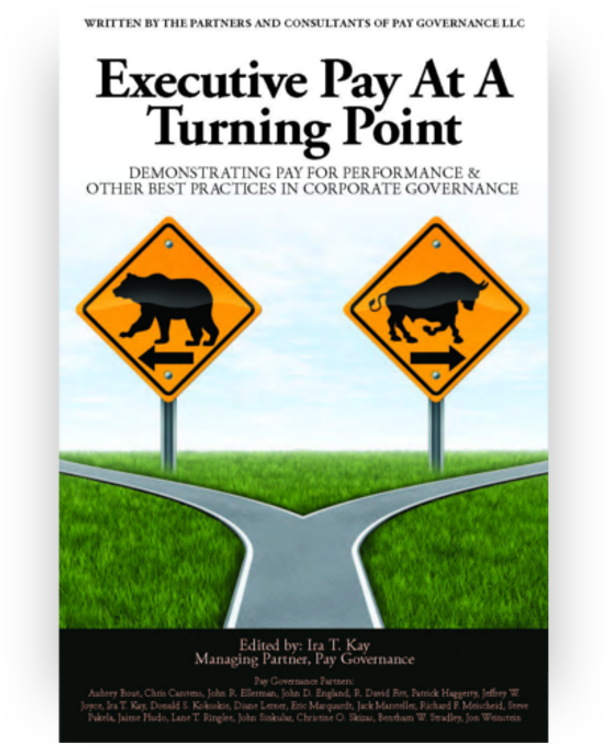 Yet in the areas of controls and corporate governance practices  focused on managing pay risk over time  there is substantial room for improvement. Four specific types of risk are associated with compensation programs: financial, operational, reputational and talent-related. Sharp focus on each of these areas will go a long way toward meeting the Federal Reserve standards and achieving objectives for managing risk. Financial. A company’s incentive plans could place an undue financial burden on the company or fail to motivate behavior critical to financial success. These assessments often balance financial impact and potential for risk generation. The graphic below shows how different incentive plans within an organization might fall along the spectrum of the combined dimensions of materiality and risk. 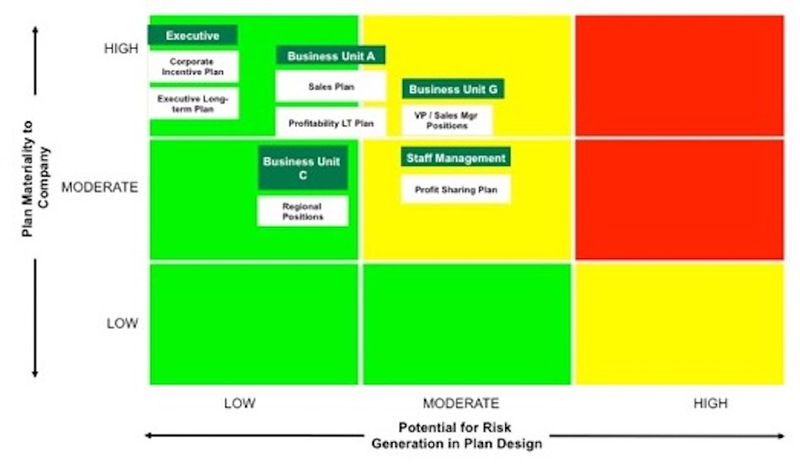 Also, none of the plans shown in the example represented more than a moderate risk regarding types of executive behavior and performance scenarios. The risk that these plans might pay out significant amounts for undesirable behaviors or performance outcomes is limited. There is no universal definition of risk potential when applied to compensation. Company-specific risk factors, many of which are used in assessing other business risks, should all be considered when assessing compensation-related risk. These include stock beta, debt-to-equity ratios and the potential for efficient incremental profits. ‍Operational. Processes in place concerning the governance and administration of compensation programs are not sufficient to mitigate errors in judgment or calculated payments. 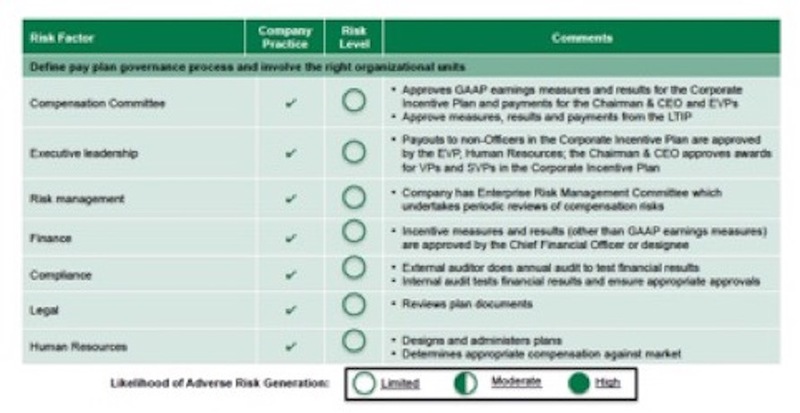 Operational risk assessments are fundamentally a process review with a focus on pay governance. Below is a sample operational review of pay risk and its assessment. The company reflected in this sample appears to have the right organizational units involved in the audit and approval of the pay-determination process. Also, the process is not controlled or overly influenced by a single segment of the organization, and those who determine pay draw on appropriate internal resources for legal, financial and human resources expertise. ‍Reputation.The design of certain pay programs, while not in violation of any regulatory or legal requirements, could draw negative attention from the company’s constituents, including investors. Reputational risk assessments will most often be based on evaluation of incentive pay in relation to a checklist of items judged externally to be poor pay practices. In 2011, for example, the presence or absence of a defined policy on clawbacks was on most checklists, as were items such as severance payments for non-renewal of executive employment agreements. Reputational risk should be balanced against the intended business purpose of pertinent pay practices. Continuing to provide executives with excise-tax protection may, in itself, pose a serious reputational risk for companies, but an alternative may be needed to help ensure that executives are not discouraged from objectively evaluating prospective transactions that might trigger this tax. ‍Talent. The design or absence of some types of compensation plans could result in a loss of critical talent. 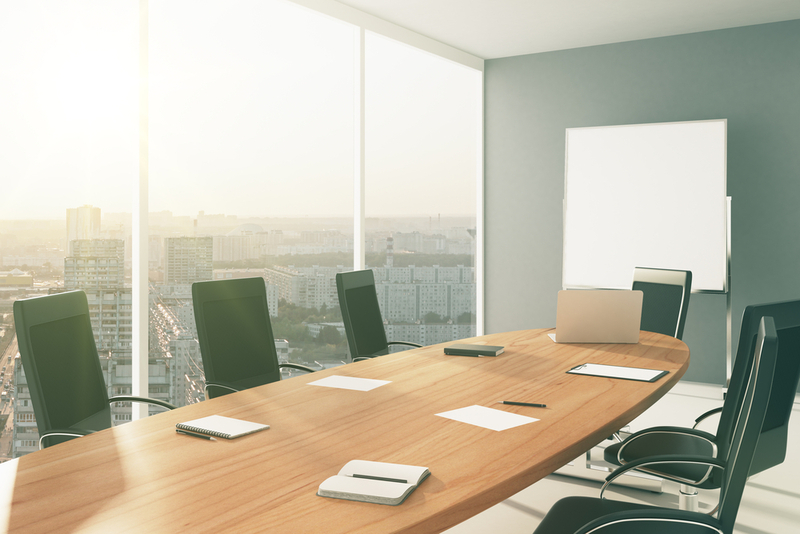 Regulations expected from the SEC on implementation of the Dodd-Frank requirement for annual pay and performance disclosures will make this assessment part of annual pay program management for most organizations. In addition, it will become part of many companies’ talent-risk assessments. that identify pay plans relating to the highest-risk businesses and positions and ensure that both management and the compensation committee monitor them closely? by avoiding extremes and by maintaining a balanced mix of fixed and variable pay, short- and long-term incentives and corporate and business-unit performance goals? by addressing any red flags raised by features that may encourage excessive risk-taking, such as steep incentive curves, uncapped payouts, completely formulaic awards and misaligned timing of payments  or, if such features are used, assuring that their effectiveness has been carefully vetted? by carefully evaluating whether an incentive plan’s measures are comprehensive and support the efficient use of capital, sustainability of profits and linkage with shareholder value creation? by clearly defining oversight roles, ensuring that plans are consistent with both business goals and risk tolerances, and stress-testing results under a range of scenarios characterized by realistic assumptions about conditions? The SEC continues to issue comment letters to domestic publicly traded companies asking that they not only disclose their conclusions about the existence of material pay risks, but also describe their assessment processes. (For an example of a process disclosure, see Brown-Forman Corporation, DEF14A, 6-25-2010, p. 36). This particular disclosure, and the company’s identification of criteria used in its evaluation, is extremely instructive, as it reflects many of the standards by which the implementation of pay philosophy is being judged.